Improv Notes is a monthly newsletter distributed by the International Institute for Critical Studies in Improvisation. Presenters include Emma Cleary (Staffordshire University), Barry Long (Bucknell University), Brian Jude de Lima, Kathe Gray (York University), Brent Rowan (Wilfrid Laurier University), Neelamjit Dhillon (California Institute of the Arts), David Lee (University of Guelph), and Tom Scholte, Kiran Bhumber and Bob Pritchard (University of British Columbia). David Lee will moderate a screening of Shirley Clarke’s 1985 film Ornette: Made in America, and performing artist presentations include PrOphecy Sun, Rupert Common and the Freestyle Rap Alliance, Julia Úlehla, Kevin McNeilly with Geoff Mitchell, and Ben Brown and Michelle Lui. 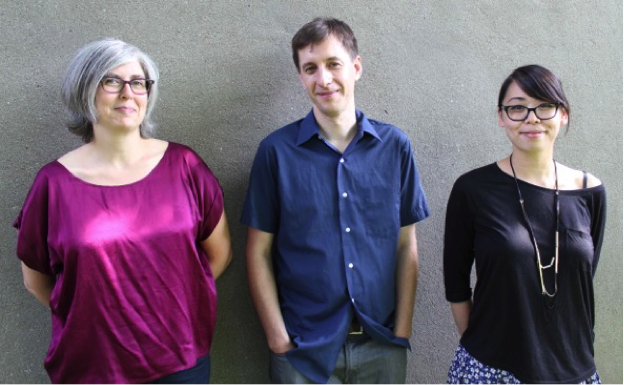 The Open Ears Festival of Music and Sound presents Between the Ears 2015, bringing a wide range of sound and performance to Kitchener/Waterloo. Artists include Supercollider (including bass clarinetist Lori Freedman, dancer Marc Boivin, and sound processing by James Harley), composer Peter Hatch (featuring his project Sirens of Victoria Park for portable stereos, singers, musicians, a flotilla of canoes, Lori Freedman and fellow clarinetist Kathryn Ladano on clarinets, and the MyAudia Superurban Ensemble). The Open Ears Regatta will feature multiple groups and sound sources ringed around Carl Zehr Square, including the Ladano/Borkovic Duo, Ben Grossman, Jason White, the Sorbara/Aldcroft Duo, David Jensenius, James Harley, Supercollider, the Freeplay Duo (Suba Sankaran and Dylan Bell) and Colin Labadie. Cem Zafir and zulapresents has been given unprecedented exposure to improvised music in Hamilton, Ontario, a city of half a million people just an hour’s drive from Toronto. This year the second annual Something Else! Festival is taking place June 19-22 at the Artword Artbar in downtown Hamilton. The festival features Artist in Residence Ellwood Epps; the Ken Aldcroft/Scott Thomson duo; a unique quartet of John Oswald, Mike Malone, David Lee and Terry Fraser; Colin Fisher and Brandon Valdivia’s duo Not the Wind Not the Flag; Brodie West; the See Through Trio with Tania Gill, Pete Johnson and Karen Ng; Chris Palmer and Dale Morningstar; culminating in a capstone performance by trumpeter Eric Boeren’s quartet with Michael Moore, Wilbert de Joode and Han Bennink. A young actor from Julian Beck's and Judith Malina's Living Theatre troupe stopped by the table, and Dylan shook hands with him enthusiastically. Bob Dylan, 1964. Photo by Sandy Speiser. --Nat Hentoff, “The Crackin', Shakin', Breakin', Sounds.” The New Yorker, Oct. 24, 1964; reprinted in Jonathan Cott (ed.) 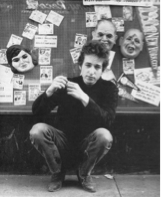 Dylan on Dylan: The Essential Interviews. London: Hodder & Stoughton Ltd. 2006, 25-6. 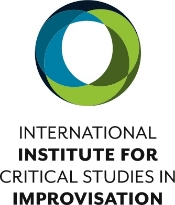 The International Institute for Critical Studies in Improvisation (IICSI) is a partnered research institute building from the Social Sciences and Humanities Research Council of Canada (SSHRC) project, “Improvisation, Community, and Social Practice” (ICASP). The Institute’s research team is comprised of 56 scholars from 19 different institutions. IICSI’s partners include five academic institutions (University of Guelph, McGill University, Memorial University of Newfoundland, University of Regina, University of British Columbia), a foundation partner (Musagetes), and over 30 community-based organizations. The Institute’s mandate is to create positive social change through the confluence of improvisational arts, innovative scholarship, and collaborative action. We are always looking for improv related news to add to our newsletter! Do you know of an exciting conference, publication, or development in the world of creative musics? If so, we want to hear about it! Please send us YOUR Improv Notes to icaspweb@uoguelph.ca! Canadian clarinetist Lori Freedman spent time in Amsterdam in May, collaborating with Dutch musicians. 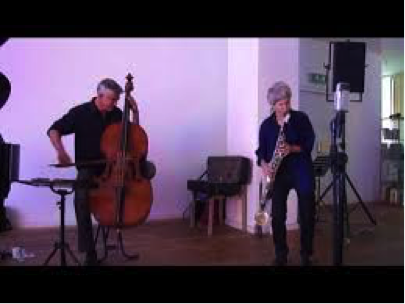 As well as her longtime associates Ig Henneman (viola) and Wilbert de Joode (bass), Freedman performed with Diamanda la BergeDramm (violin), Oscar Jan Hoogland (piano) and Marcos Baggiani (drums). The 2015 Guelph Jazz Festival has been moved further along in the month of September, running September 16-20. This year’s interim artistic director, Vancouver’s Rainbow Robert, has programmed a refreshing mix of new names and established talents, including the great English saxophonist Evan Parker—in duo with Colin Stetson, and in the group Rocket Science with Peter Evans, Ikue Mori and Sam Pluta— the Darius Jones Quartet; Jason Adasiewicz’s Sun Rooms; Kris Davis’ Capricorn Climber; Colin Stetson/Sarah Neufeld; the Vancouver trio Waxwing with Peggy Lee, Tony Wilson and Jon Bentley, as well as Tony Wilson’s A Day’s Life Band; Thumbscrew; Matana Roberts; Marc Ribot’s Ceramic Dog; the Taylor Ho Bynum Sextet, and many others. The opening night features a gala fundraiser with Nicole Mitchell’s Black Earth Strings featuring special guest Matt Brubeck, and the Guelph Youth Jazz Ensemble. For the full lineup, please visit guelphjazzfestival.com. 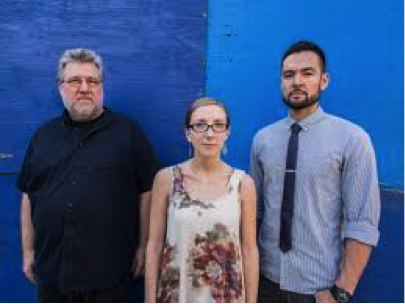 This year the Guelph Jazz Festival Colloquium will take place Sept 16-18 with concurrent sessions running at downtown sites Silence, Musagetes, and Heritage Hall. Darius Jones. Photo by Peter Gannushkin. Since 2009 the artist collective Medea Electronique has organized an annual 10-day experimental artist residency in Greece, focusing on improvisation and new media practices. 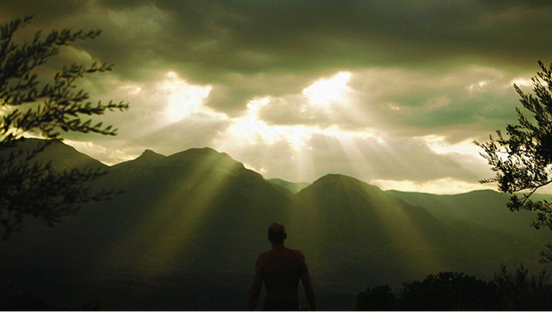 New-media artists from all over the world, inspired by the Greek natural landscape, come together to create a multicultural and cross-media dialogue, culminating in a collective presentation both locally and in Athens at the end of the residency. For their 2015 residency Medea Electronique proposes something slightly different. This year they will focus on acoustic musical improvisation, and site-specific performances / recordings scattered amongst a variety of sites in the Peloponnese. Please click here for more information, and note that applications are due July 1st. 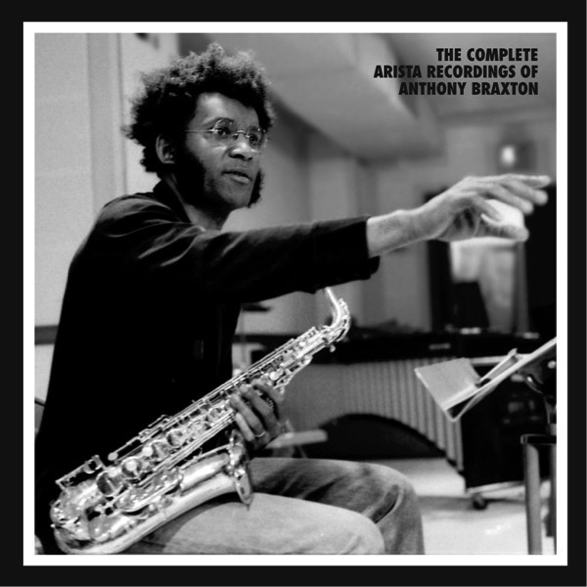 Anthony Braxton: 1976, the New York Creative Orchestra Music sessions. Photograph by Canadian musician/writer/photographer Bill Smith. June 4 saw the 70th birthday of American composer/improviser Anthony Braxton. Born in Chicago in 1945, Braxton first came to attention with his solo saxophone record For Alto in 1969. 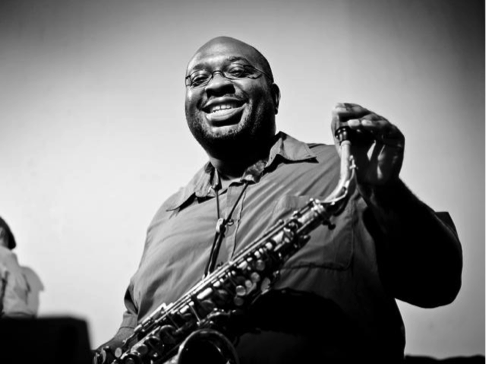 In a jazz community that still historicized the music as a succession of innovations by great instrumentalists, controversy immediately raged as to whether this young virtuoso was a rightful successor to Eric Dolphy, Ornette Coleman, Charlie Parker, and the many other jazz alto saxophonists who had made original contributions on the instrument. In reality, Braxton, influenced by his work with Chicago’s AACM, saw himself as part of a tradition in which improvisation could be based on a multitude of premises or in his own word, “systems.” He went on to lead several influential quartets with such musicians as Leo Smith, Kenny Wheeler, George Lewis, Ray Anderson, Dave Holland, Mark Dresser, Barry Altschul, Marilyn Crispell and Gerry Hemingway, and in the 1970s was an early collaborator with European improvisers such as Evan Parker, Derek Bailey, Gunter Hampel and the Globe Unity Orchestra. He also composed in so many different formats, following so many different systems, for so many different ensembles, that it is impractical to enumerate them here. Recently retired from his position as professor of music at Wesleyan University, Anthony Braxton continues to compose and perform as actively as ever. The Tricentric Foundation, “The Online Home of Composer Anthony Braxton,” is a recommended starting point for investigating the growing oeuvre of this unstoppable artist. Improv Notes was initially distributed in 2008 as a quarterly newsletter. From June 2011 until September 2014 Improv Notes was assembled, written, and distributed on a monthly basis by Paul Watkins. As of October 2014, Improv Notes is edited and written by PhD candidate David Lee and assembled by administrative assistant Rachel Collins. If you have anything improvisation related that you would like included in the newsletter, please email icaspweb@uoguelph.ca.